Our lives are surrounded by context. The same thing can have different a meaning in different situations. What does a zombie on TV mean to you? Maybe, a moment to make popcorn and enjoy a scary movie. And what about a zombie in front of you? YOU GOTTA RUN!!! Knowing that this code is inside Magento’s context, you can say for sure: This dollar function returns an element specified by the sumWord ID. But if we didn’t define the context, that line of code could have different meanings! 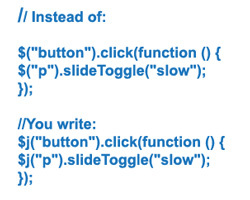 The same code can be interpreted as a jQuery function that returns an element that matches the sumWord HTML tag. Because of that similarity, if you try to use both libraries in Magento without any preparation, a zombie apocalypse can happen! I’m just being hyperbolic … But as you know, computers don’t like to grasp the meanings in context. So let’s setup everything and make it direct to the point. First, download the most recent Jquery (http://jquery.com/) version and store it in the /js/jquery folder. Then let’s override the Jquery dollar function and put an end on the conflict. 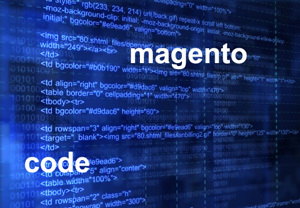 Now that “code” peace reigns again, you can spread the good news through out the rest of your Magento installation. Just for fun lets draw an analog of context from a different perspective… without using code or Magento. I wish you all an excellent week!